Businesses that want to set up shop in the Ortigas Business District will have to contend with limited new office space compared to Makati and Bonifacio Global City. The area remains attractive for companies because of its proximity to major residential areas in the city and accessibility to public transportation. According to a Metro Manila Office Market study by Jones Lang Lasalle Leechiu (JLLL), supply will continue to trickle in up to 2013. There is a temporary supply deficit of new office space across all business districts, says the study. This explains why rents have been rising by 15 to 20 percent in Bonifacio Global City and Ortigas since late last year and are likely to continue to increase. 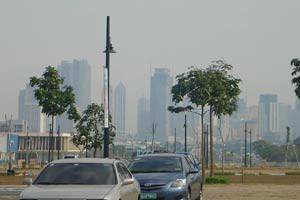 In Ortigas, the dearth of new space is even more pronounced. JLLL director, Sheila Lobien says after iSquare, a 17-storey building on F. Ortigas Jr. Avenue, becomes available, no new buildings will be launching in Ortigas until 2013. "The supply of new office space in Ortigas simply has not matched the rapid pace of construction of new buildings in the Bonifacio area and Makati," explains Lobien. "This however does not make the place less attractive. In fact, the Ortigas district is highly attractive to BPOs seeking an area with three power grids which ensures the availability of electricity even during emergencies." She noted that despite the mushrooming of new business districts in Metro Manila in areas like Cubao, Bay City, Manila, Marikina and Newport City, Metro Manila\\\'s supply of office space remains concentrated in Makati, where there is close to 1 million square meters, and Ortigas, where there is close to 800,000 square meters, Bonifacio Global City follows with around 400,000 square meters.